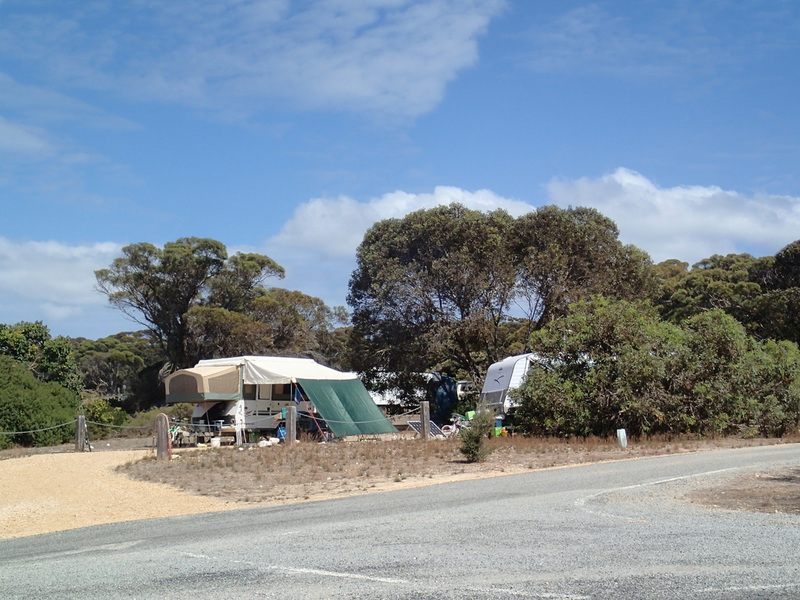 Surfleet Cove is one of the larger campgrounds in the park, with 19 campsites. These campsites are designated by the way you camp - 2 sites for tents, 4 for camper trailers, 12 caravan/motorhome and a group site. Access to this campground is via paved roads the whole way, and is one of the first campgrounds you come to when driving into the Park. Based on the above change to getting a campsite, some of the information below may not be as relevant. 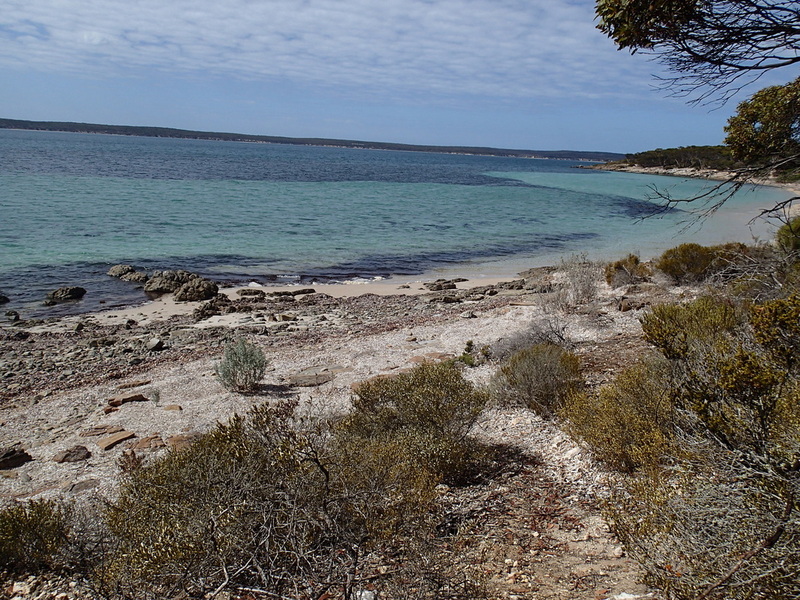 Overlooking Boston Bay, the campground is very spacious and has a road running through the camping area where you may find campsites close to the beach, or some distance away from the water. The campsites are designated by bollards and chain links so you are confined within a set space. Caravans/motorhomes can drive through their campsite to minimise any need for reversing into a spot. This campground is functional, but by no means is it the prettiest. If I have driven a long distance to get to the park, I wouldn't want this to be my choice of camping spots. Maybe if you are a regular at the NP, and have seen most of the park and just wanted to get away for a nights camping, then this would suffice. It's all going to come down to personal taste, and what you are looking for in a campsite. There is good room between sites, but depending on the site, you may not have much shade. In the middle of the campground there is a large vacant area, where no camping is permitted, but helps make the sites a good distance from each other, so you don't feel crowded. 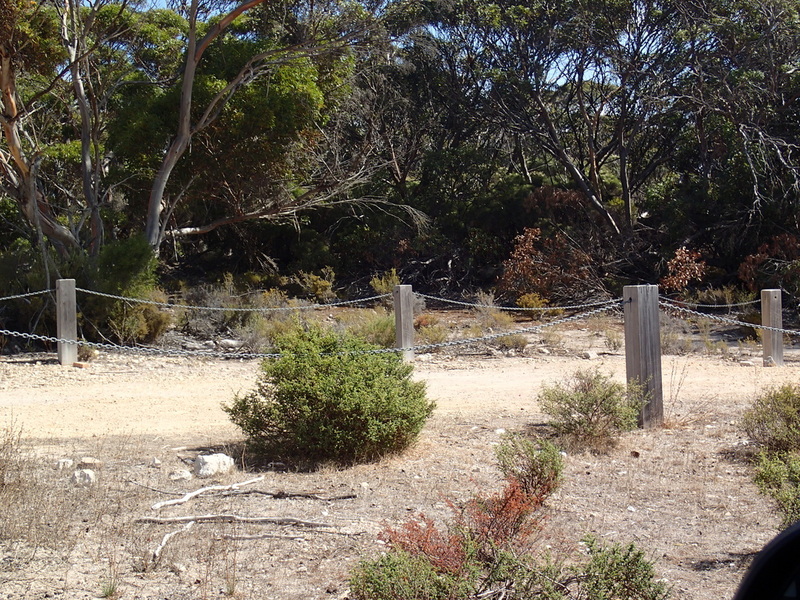 Below is a photo of the sites closest to the beach, separated by the fence, seen on the left of the picture. There is some shade for these sites. Whilst these sites were the closest to the beach, and probably the best sites at Surfleet, you are more likely to get foot traffic near these sites, as its the access point to the beach, and walking trails go along the fenceline. 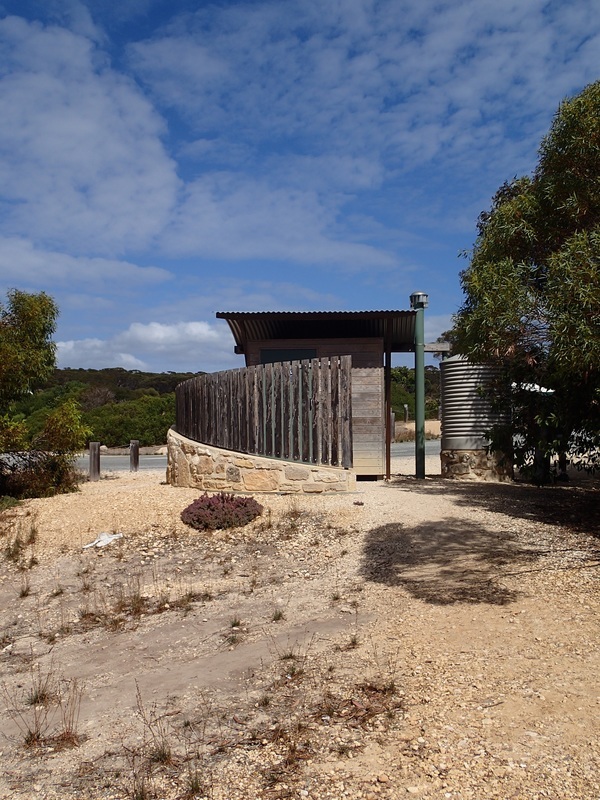 Plus close to the toilet block. In quiet times, this wouldn't be an issue. In peak times, Lincoln National Park can get very busy, but even on Easter long weekend, there were still a few spots here. If you are travelling in a group, then your options may be a little more limited in finding a spot. You can get a couple of vans in some of the spots (as seen in above photo). 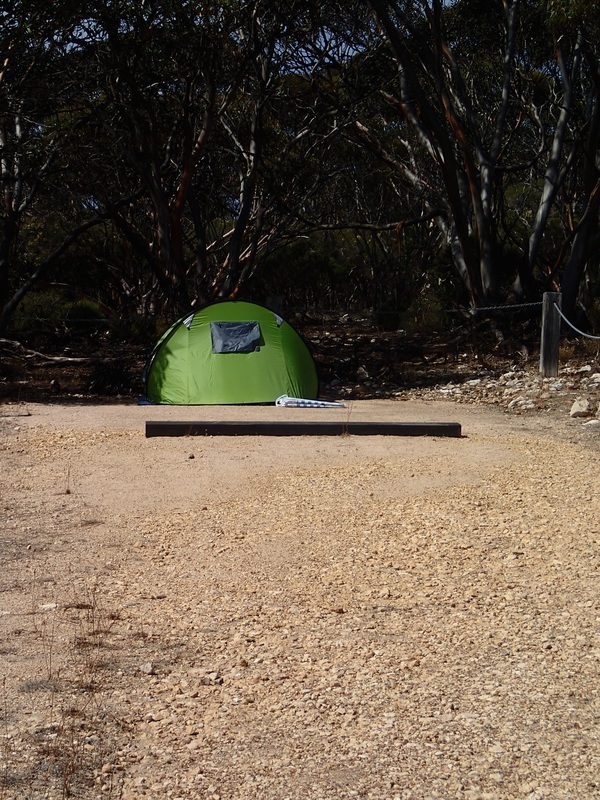 A typical tent camping spot is pictured on the left (below). The ground can be quite hard as its quite compacted. A caravan/motorhome vacant site. It's a drive-through site. No views to water. 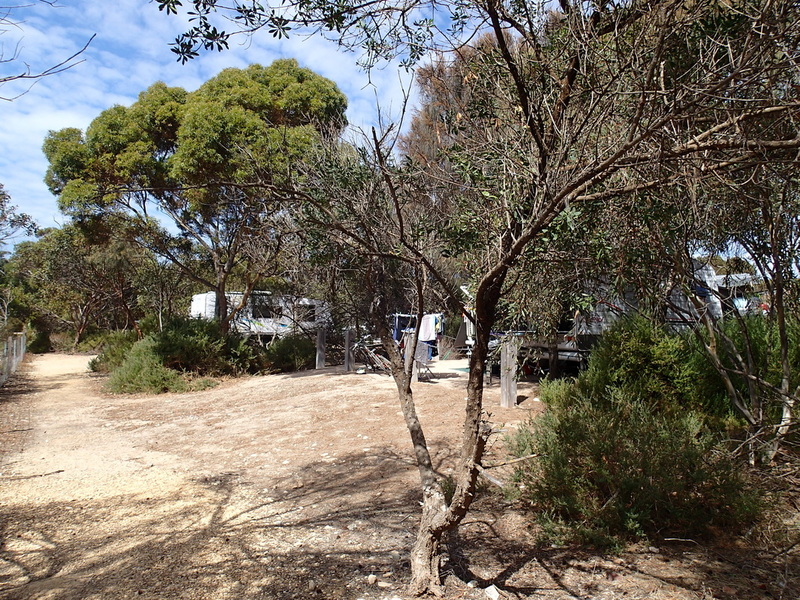 In the campground there are 2 toilet blocks. They are drop toilets and quite modern. Water tanks are near them, but all water must be treated before use. You shouldn't rely on these tanks for your water. 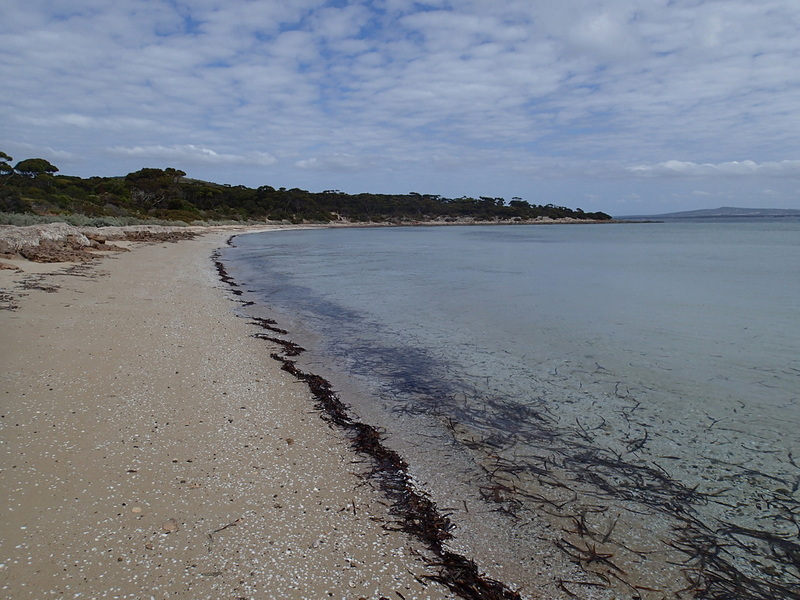 Some were empty when we visited and whilst the township of Port Lincoln isn't that far away, it's still not something you want to have to worry about - so bring in your water needs. Campfire restrictions apply at all campsites and to find out if you are allowed to have one when you visit, please check this page for the latest information in regards to when and where campfires are permitted. No dogs allowed. Generators are allowed between 9am and 9pm. Please be considerate of your neighbours when using them. 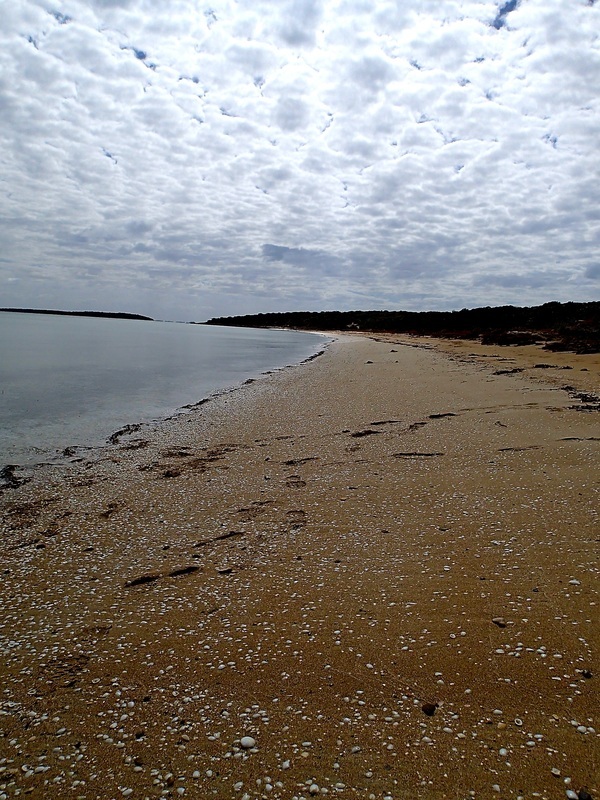 As mentioned on our main page for Lincoln National Park, there are beautiful beaches and walks throughout the area. At Surfleet, you have the beach near the campsite, plus a walk which will take you to a more secluded beach with calmer waters. It may be called Stamford Beach - but not 100% sure on that. The day we visited, the weather was a bit fickle. Sunny one moment, and then overcast another. The photos don't really do this part of our walk justice. In summer, a place to cool off in the water will never be too far away.